Which companies against net neutrality? Where stand the ISPs? Which Companies Are Most Against Net Neutrality? Net neutrality is an issue no one can remain neutral about, you either like being spied on or you don’t. Our list of companies against net neutrality. Net neutrality is a hot topic and one that has been debated since early on in the history of the Internet. It is the principle that Internet service providers (ISPs) and regulators must treat all data crossing the Internet the same without regard to source, destination, type, use or mode of transport. The term was coined in the early 90’s and is an off-shoot of the concept of common carrier as applied to the telephone systems. In the common carrier paradigm service providers must provide unrestricted access to the public and under a regulatory scheme. The US FCC ruled in early 2015 that ISPs were in fact common carriers in order to enforce net neutrality, this classification was later changed effectively deregulating the Internet. Because at face value it seems favorable to enforce net neutrality we must first ask which companies are against net neutrality. In this case it is most commonly the ISPs. In order to understand why they are against it we must dig deeper still to see what types of ISPs there are and the difference between them. 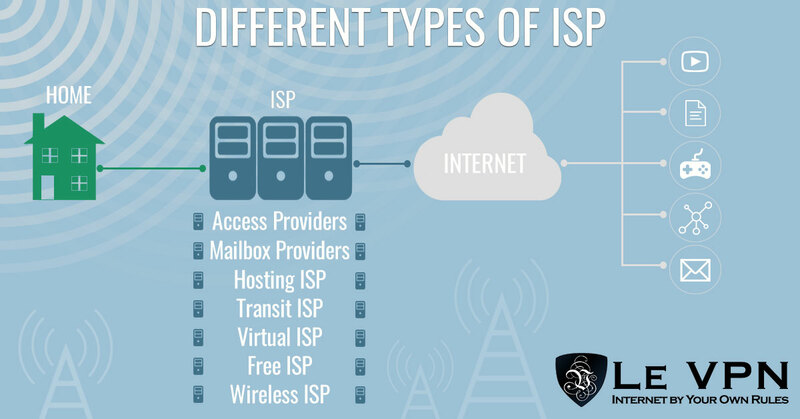 There are 7 sub categories of ISPs. Each has its own unique features, some more fully functional than others. All things aside what they each have in common is that they function across the Internet and provide services for the public. This is the traditional ISP, what you think of when you here the word Internet Service Provider (ISP). These are the people that connect you, your home and your business to the World Wide Web. Technology can be as simple as landline connections and telephone modems all the way through cable, Ethernet and Wi-Fi. Originally passed exclusively by copper cables the system is now linked primarily with fiber optics. Within this subset are a few more specific designations depending on the size, type and need of your business or organization. An access provider may be against net neutrality because of pricing regulation. Providers could offer differing levels of services, faster or slower connections, at differing price levels. Mailbox providers are just what they sound like, organizations with the infrastructure to support email accounts, send, receive and store email. These providers are most often also an access providers or some other form of ISP but may also be stand-alone. Some popular stand-alone mail box providers are Gmail, Yahoo!, Bing, Outlook and POBox. A mailbox provider who is also an ISP may be against net neutrality for the same reasons as the stand-alone access provider: the ability to charge differing prices according to whatever schedule they devise. An access provider may block free mail accounts in order to provide it’s own subscription email account instead. A stand-alone email provider may be for net neutrality so that they have the same access to clientele as the access providers. A hosting ISP provides the servers necessary to power websites, email, digital storage or cloud services. These providers include companies like GoDaddy.com who host websites and email but also those like Oracle, Amazon, Google and others engaged in cloud storage/computing, SaaS or PaaS computing. These companies might be for net neutrality, an Internet free of impediment is beneficial for the cloud computing industry. The Transit ISP is the provider who provides service to your provider. They are the bigger fish in the sea, the ones with networks that span continents not just cities, states or nations. The network of ISPs and Transit ISPs is very complex as networks both up and downstream may connect with more than one other network, or connect with one network in more than one point-of-presence, at any time as need arises. The transit ISP, like the access ISP, may oppose net neutrality as having control of the net gives them quite a bit of power. A virtual ISP is a company that purchases connection bandwidth from another ISP and then markets it as its own. This is similar in practice to off-market telephone or electric companies buying excess capacity and selling it on the secondary market. They too may oppose net neutrality, a net free and clear of regulation is in their favor. A free ISP is just that, free. Of course free isn’t really free when someone is giving it to you, right? A free ISP usually comes with streaming ads attached and is in reality a way for the provider to sell ad space. Some free ISPs are non-profit and run on a volunteer basis. In terms of neutrality they may be in favor of it in order to remain competitive. Wireless ISPs provide access through a wireless network. These networks can be set up in a variety of ways including wireless mesh networking or use of dedicated radio frequency. As far as neutrality goes it depends on what types of services are being offered across the wireless network. When the battle for net neutrality reached a peak in late 2014 lobbying dollars were thrown at the issue. The 3 biggest spenders in the US are Verizon, AT&T and Comcast (all access providers and companies against net neutrality) spent three times as much as their opposition. Opponents included Google, Level 3 Communications and Microsoft, all companies doing business as non-access providing ISPs. In terms of activity, in the years leading up to the 2015 enactment of US neutrality laws, lobbying firms opposed to the new laws filed reports at a pace nearly 3 times as fast as those in favor. In terms of volume the top five report filers were all opposed to neutrality, led by Verizon and Comcast with over 100 reports. The top ten report filers only included 4 in favor of neutrality and they filed less than 100 reports between them. This imbalance clearly shows the divide between those in favor of controlling the Internet for gain and those who rely on its free access. The amount of money spent in opposition is an indication of just how much they have to lose. What do opponents of net neutrality argue? In recent media tech companies including big access providers came out in favor of neutrality, a watered down less strict version of the 2015 regulations. Comcast, an ISP providing access to the Internet, said that net neutrality proponents “create hysteria”. They say the fears are unfounded, that it is Comcast right to control access in whatever way they see fit and that the company is a responsible steward of all of our information. CenturyLink, another access provider, says they are in favor of net neutrality, complete and utter freedom with no regulation where business can control the net as they will. The Day Of Action was a protest in response to the FCC’s plans to deregulate the Internet mid-2017. It resulted in millions of emails to US Congress and comments on the FCC website, more than 125 million businesses, websites, organizations and individuals in the US were involved in the protest. The telecom lobby group USTelecom stands by the claim that the idea ISPs play favorites in order to chose which traffic will or won’t be blocked has long been debunked. They say “Net neutrality is something we all strongly support, and ISPs are committed to modern rules that protect the universally-embraced principles of no blocking, no throttling, and no slow lanes”. However, board members AT&T and Verizon are both believed to participate in activities that go against these ideals. The advocacy group Free Press keeps a list of believed violations and both of these companies feature prominently on it. Comcast in the US is responsible for bringing the issue of neutrality to a head. The company was caught internet filtering and throttling BitTorrent traffic in efforts to cut down on bandwidth usage, thereby freeing up space for other users. The company used readily available tracking and monitoring techniques to identify which users were utilizing high bandwidth applications such as BitTorrent and then decreased the amount of bandwidth they were allowed to use. The company now says it is in favor of neutrality without “burdensome FCC regulation”. When the FCC came out in favor of reducing their control over the ISPs Comcast and the rest were the first to throw in their support. 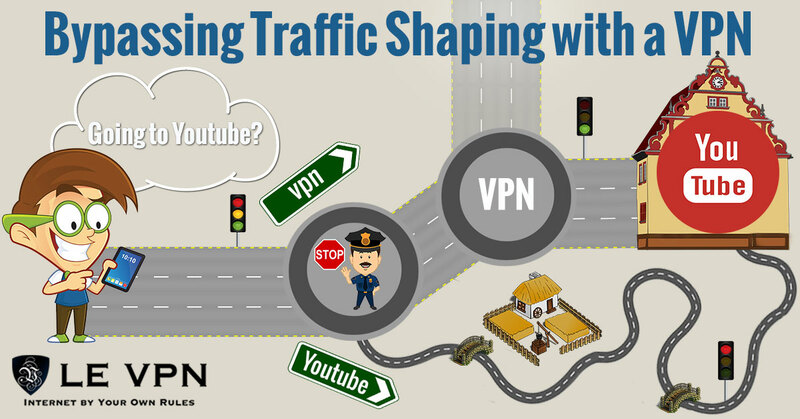 There are similar examples of ISP using traffic shaping techniques in other countries. For example, it is a know fact that a French ISP Free Telecom throttles streaming traffic in the evening when most of their users get home and, obviously, start watching YouTube, TV show broadcasts, Netflix and other media streaming services online. BitTorrent is a file sharing application that allows the transfer of high volume files, above and beyond what is permissible with email and other more common methods of digital communications. One of the issues surrounding this service and others like it, aside from the large amount of bandwidth they use, is that they can also be used for illegally sharing files such as music and movies. Verizon is also at the heart of the neutrality issue. When the FCC first tried to regulate the Internet in 2010 they were faced with a vicious lawsuit from the wireless and Internet access provider. The rules proposed at that time were tame in comparison to what came later but ultimately quashed by the legal proceedings. The FCC came back using the Title II authority granted by the 1934 Telecommunications Act. The Title II authority grants the FCC power over common carriers, the issue at hand was whether or not the Internet qualified as a “common carrier”. In 2015 the FCC voted unanimously to classify the net as a common carrier thus bringing it under their watchful eye. Bringing things forward to 2017 a new FCC Chairman Ajit Varadaraj Pai reversed the earlier decision and enacted less strict rules. Verizon’s argument today is that the Title II rules meant to govern and regulate rotary telephones and monopoly railroads. Their view is that the FCC should craft rules that fit the modern digital age in a way that will not stifle innovation or investment in the network. Looking back on the telephone industry and the way in which regulation was rolled it is clear to see that it removed incentive for telecoms, if the network belongs to “the people” and not to me why should I build it? USTelecom puts up a valid argument. They believe that the push for net neutrality is really a push by “big Internet” to make even more money and it is true, an Internet with free and open access would help them to make more money. They go on to say that what really slows down the Internet is reduced investment and that is what will result from stricter neutrality rules and specifically if the Internet is classified as a common carrier. Along with this attitude is the idea that Title II laws are not enforceable. Both Comcast and Verizon issued briefs in which they reference old laws that are not legally enforceable in today’s world. The counter to that of course is that yes, they are enforceable they just aren’t the laws you want to abide by. Other industries, such as the cable industry, have also tried to get on the right side of the issue. They, through the NCTA -the Internet And Television Association, have said that the cable industry has always been on the side of a free and neutral Internet in which users can go and do what they like without being throttled or impeded in any way, except of course for Comcast who thought throttling was the thing to do. AT&T, a phone Internet and TV provider, has not remained silent either. The company publicly voiced its support in joining The Day of Action and FCC regulation despite an earlier attempt to block the rules put in place in 2015. The company went so far as to solicit help from customers asking them to submit prewritten statement in support of reduced regulation. The key term here of course is reduced regulation. Some companies were truly for net neutrality and against the roll-back of Obama era rules protecting websites, content and traffic. Twitter took sides on a public issue for the first time in it’s history by promoting a Tweet and a hashtag in favor of regulation. Public forum Reddit took similar action by promoting an ad describing how ISPs could slow down traffic. Google‘s policy team shared a message to mobilize Internet users in The Day of Action protest. Facebook founder Mark Zuckerberg published a blog post in favor of regulation. “Right now, the FCC has rules in place to make sure the internet continues to be an open platform for everyone . . . At Facebook, we strongly support those rules. We’re also open to working with members of Congress and anyone else on laws to protect net neutrality.” This sentiment is echoed by SnapChat spokesperson saying “without a free and open Internet Snapchat would not be what it is today”. Obviously, these companies are not access providers and rely on free flowing traffic for their revenue. If there is one thing clear it is that the debate over net neutrality will rage on. With so much money at stake, trillions of dollars annually, and the sides so polarized there is little hope of reaching an agreement in which both sides are truly happy. In the meantime it seems as if the big access providing ISPs have accepted that some form of net neutrality will prevail, the fight now for them is to ensure regulations aren’t too stiff. Net neutrality is something they can ensure on their own. All it takes is a VPN, virtual private network. The VPN is today’s leading technology to ensure safety, security and anonymity on the Internet. It works in combination with anti-virus, anti-malware, firewalls and internet best practices to complete digital security for individuals, families, organizations and businesses. The best part is that it comes with many side benefits, unintended consequences if you will, that make it a useful tool in the fight for Internet freedom. Read on to find out about the 15 cool and exciting ways to use a VPN. What VPN does is create secure connections over the Internet. They do this by masking data packets (your connections) and re-routing them through a dedicated system of VPN enabled servers, bypassing the ISP servers. This means you use your ISP’s gateway to enter the net but instead of using their servers to route your traffic you use the VPN servers, which means the ISPs have no way of knowing who you are or where you are located in order to filter your traffic, if they could see it, which they can’t. If anything all they could know is that someone, somewhere is using a VPN on their gateway. Le VPN is a top VPN provider with a network of VPN servers spanning 114 countries. The service is incredibly inexpensive at $4.95 per month, considering all it does, and can be used with any of today’s personal computers, laptops and mobile devices. It can even be used with a VPN router allowing an unlimited number of devices within a home or business to access the Internet safely, and with complete neutrality. Download Le VPN Android app on Google Play or Le VPN iOS app on AppStore and test it for yourself with a 7-day free trial!